Watercolor painting is the most exciting medium of all. 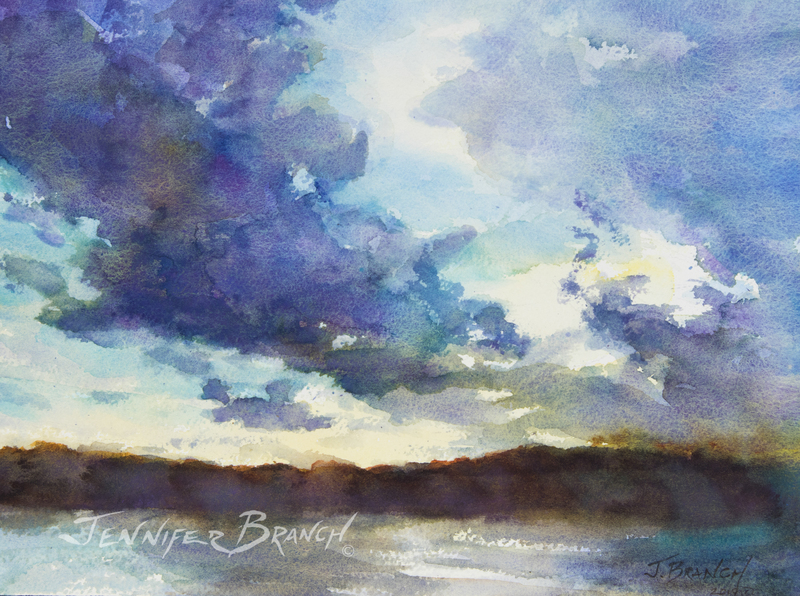 You can take your watercolor kit everywhere with you and play with it. Watercolors are easy to take with you since they're small and dry almost instantly. You can put them in your pocket or out on your kitchen table. You can paint tiny sketches in a journal or huge paintings in a studio. They capture rainy days and bright summer flowers. You can paint anything with watercolors. 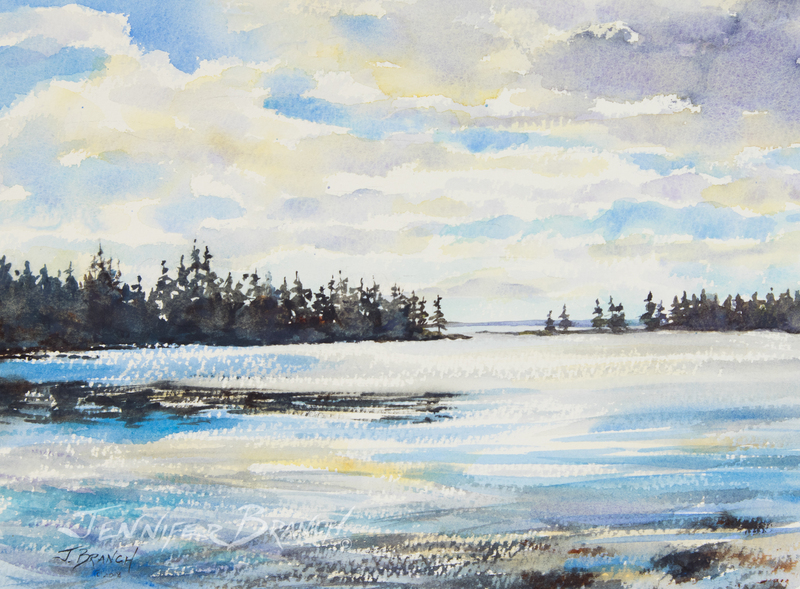 Watercolor painting is the perfect way to explore and appreciate the world around you every day. Even if you're a complete beginner, exploring with paint is fun! 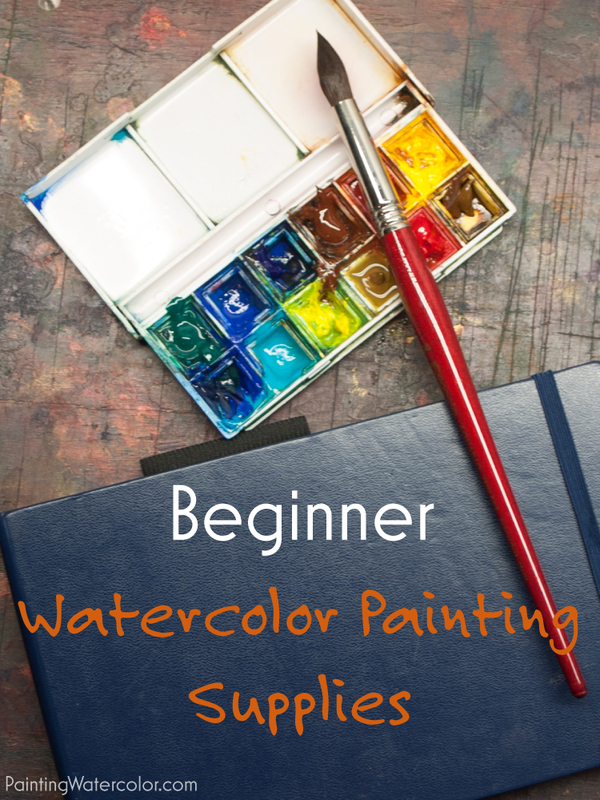 This is all you need to get started painting watercolor! Pentalic sketchbook, Escoda Squirrel Round #14, Winsor and Newton Cotman (Cotman is W & N's student grade paint) Pocket Box Palette. Paper towels, a cup of water and you're ready to go! First, you're going to need some art supplies. 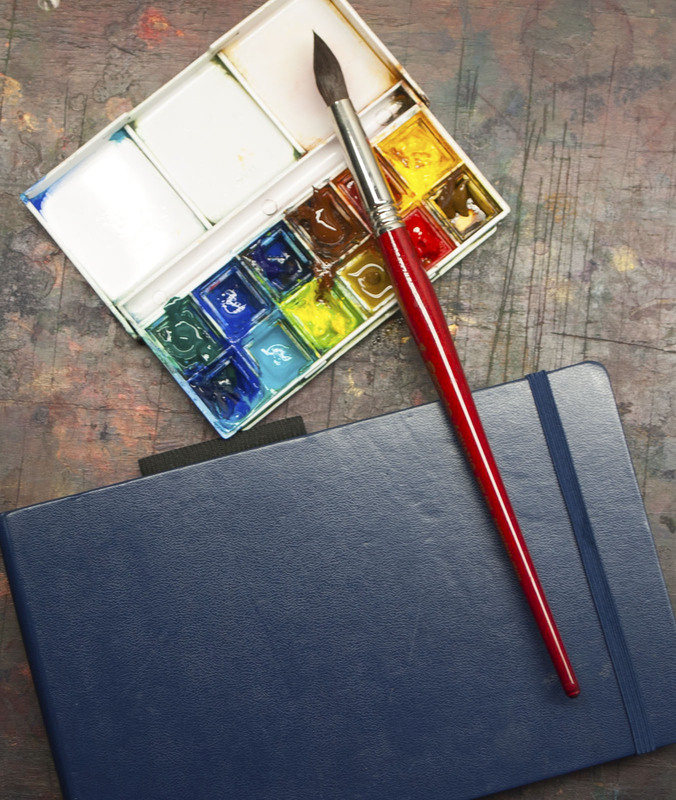 Watercolor painting requires just a few things to get started. I've listed the minimum you need to get started below. I highly recommend start with just the basics and letting your supplies grow with your skill level. When you start, you don't know what you'll need in a month or two of practice. Next, while your supplies are on their way and your fingers are itching to start painting, really notice the world around you. What colors are in the trees, the sky or a shadow pattern on a concrete wall? They're generally not just green, blue or gray! What are the most striking parts of a beautiful view? What do you like about the view out your window? What would you leave out in a painting? There is no better way to remember a moment than to paint it. When you look at that painting, you'll remember the brush in your hand and the smell of the ocean. Painting is the ultimate slowing down and savoring life. Take joy in the moment and that will show in your paintings. Painting starts by looking at the world around you. The reason to get a tiny travel palette is you will actually use it on location. A studio setup is great for a studio setup, but not much fun to travel with. Painting on location is not only a lot of fun to explore your world in paint but the best way to really look at what you're painting. Too many student artists don't bother to look at their subjects. And the little palette works well for painting at the kitchen table too when you just have a few minutes! I really like this little palette. For about , it's a great entry into watercolor. The paints are usable, though you'll want to replace them with better paints when you really get going. The great thing is, you can add new artist grade pigments as you use up the starter set. Immediately throw out the white gouache. It's not thick enough to use as a white gouache but it will mess up all your beautiful transparent colors. Replace the gouache with nickel azo yellow or go crazy with a cobalt violet. Buy your replacements with artist quality tube paints and just squirt a dab (artist quality watercolor paint goes a long way) in the pan. I keep my white gouache for touchups in a separate tube and never mix it with my transparent watercolor palette. 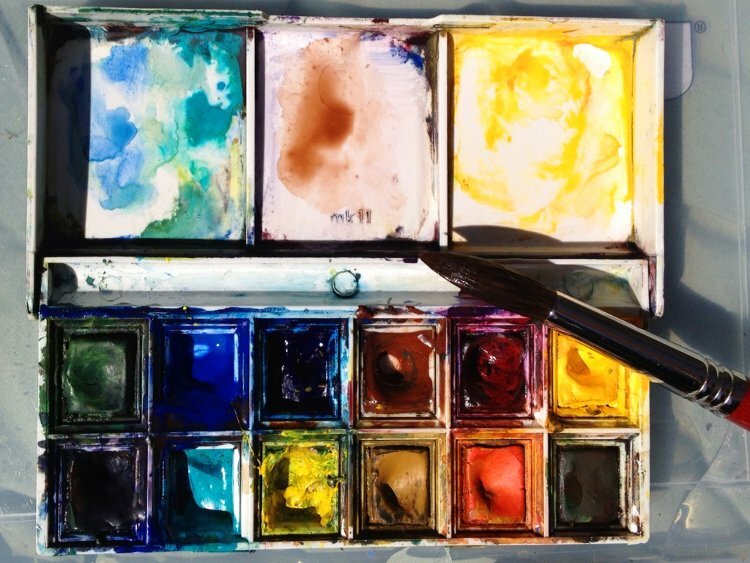 The Cotman palette white gouache is too thinned to do anything but muddy your painting. Keep the little box and throw out the paint. This is my quick travel palette, as seen above! I do change the paints around. Video on water / pigment proportions! Obviously, cool and warm colors are relative, as are transparent and opaque. And some colors, such as cobalt blue, are a lovely transparent in a very thin wash, but opaque when painted with a heavy hand. You just have to use the colors and get to know them! Always replace student paints with artist quality paints as you run out of them. Here's why. That's right. You only need one brush to start painting. You really only need one brush to do excellent paintings. That doesn't mean you won't want lots of brushes, but you'll be amazed at how often you reach for your favorite brush. Unfortunately, the adorable little brush in most painting kits is not good for much. Keep it for finishing details, but get a size #12 to #14 Round Brush. I recommend an Escoda Squirrel Hair Round #14 (link to review). It's a very nice beginner to professional brush. It's what I keep in my to Go Paint bag! That and the tiny brush are all you need to get started. The #14 Round for 98% of your painting; the tiny one for the finishing 2%. A slightly less expensive brush option is a Cheap Joes Golden Fleece Round (link to review). I used this synthetic brush for years for professional painting; however, I think the squirrel hair is easier and better to paint with. YouTube video about choosing the best watercolor brush for you. Everyone wants something slightly different. 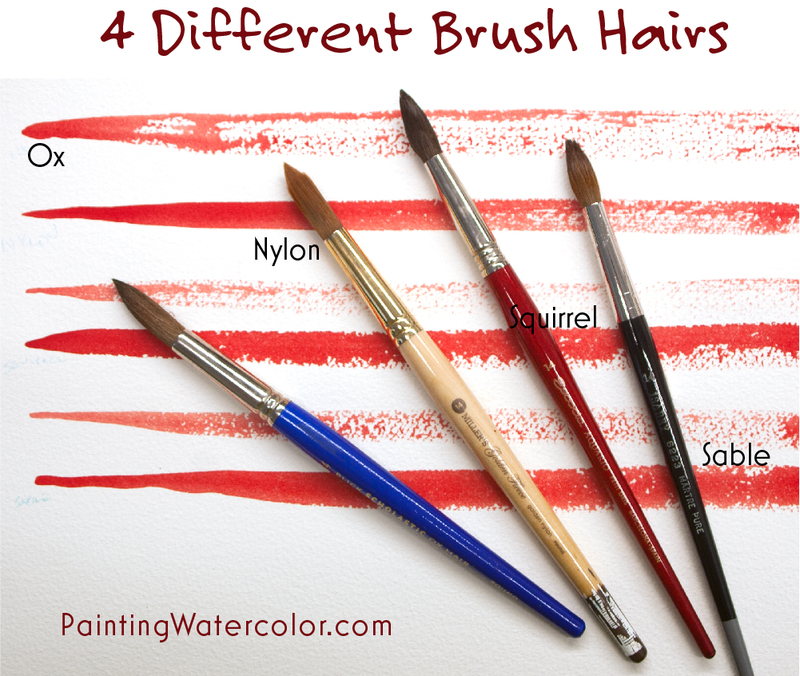 This helps you decide what brush hair type you need. Your brush should have a good pointed tip and hold water well. A round brush can paint all brush stroke shapes, while a flat or angular brush is limited. To start, get a good round brush. It will usually cost between $15-25. You don't need sable or a super expensive brush, just make sure it has a good point! Don't go too cheap on these since they'll shed all over your painting. There's nothing worse than picking bits of paper out of a wash! In the studio, I use cotton rags. On location, I like Bounty paper towels, but any relatively good brand will work. Add a water thermos or jug if you're on location. On location, you tend to change water less frequently so you'll need 2 water containers, one for clean and one for dirty water. You can always use a mechanical pencil if you prefer those. I like drawing with the side as well as the tip, so an old fashioned #2 works for me. I use the Pentalic Aqua Journal in 4" x 6" and the 5" x 8" size. Very nice 140# (300gsm) paper in a watercolor journal! Paper is the most difficult art supply to recommend because so much depends on your painting style. I highly advise getting paper you don't mind using and throwing away to start! However I also recommend not buying too cheap paper because it will be very difficult to paint on. Cheap paper has made so many students give up at watercolor when all they need is better paper for an easier start. Remember, always use at least 140# (300gsm) watercolor paper. The heavier paper holds up to many washes, unlike a lighter paper which disintegrates in 1-2 washes. More washes mean you can get richer, darker colors. It also means you get twice as many paintings out of each sheet. If you like the painting, keep it. If you don't, flip it over and paint another! So, a minimum weight (listed on the label) of 140# or 300 gsm paper. The weight will keep if from buckling all over the place so your paint won't puddle unexpectedly. It will also make it possible to do multiple washes, which you need to do to get rich colors. The journal option is terrific for keeping track of your progress and painting on location! You have to enjoy and appreciate the process, though. Feel free to tear out duds, but it's much better to realize that even for professional artists, 1 / 3 paintings you'd like to brag on is excellent odds! You can buy blocks of 140# paper to eliminate the need to stretch paper. Arches is a good brand for any level of painting. Cold press texture is a happy medium. Arches 140# cold press block. The cheapest way to start painting on good paper is to buy sheets of paper, cut it into 1/4 sheets and stretch or clip it to a melamine board. This is probably the cheapest option for people who don't like sketchbooks or want to frame their finished work. This is the one item you don't strictly need, but it's definitely nice to have! 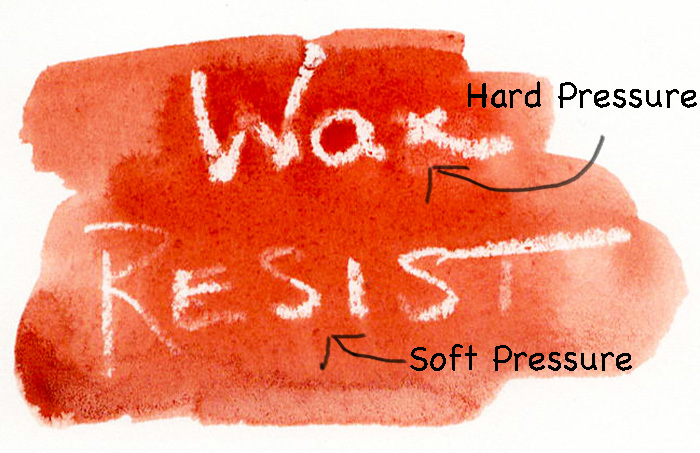 Wax crayons are great on location for reserving areas of white paper so you don't have to think about it during a wash! 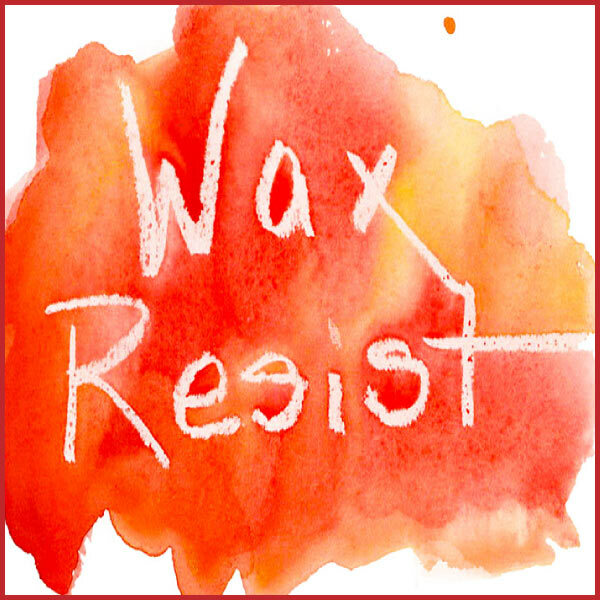 See my lesson on wax resist for some ideas! An alternative to wax crayons are white birthday candles. They are a little softer to use, but workable. I show the difference here! The first thing you need to know is how to hold your brush. This is such an easy way to improve your painting quickly! Next, there are only 3 Watercolor Washes to learn! Mix the right amount of water with the right amount of pigment! Rigger brushes make it easy to add fun details to your paintings if you know how to use them! Nothing complicated, just a simple trick to using them correctly! Here's a video and lesson showing how! This is the one extra, but it makes painting easier! This lesson and video makes wax crayons fun! Skies are one of the easiest things to start painting. There's always one around! Very little drawing or perspective is needed to paint a sky and accidents become something beautiful. Sunsets are always fun. There's lots of exciting colors to play with! Add some water to the painting and learn a little drybrush. 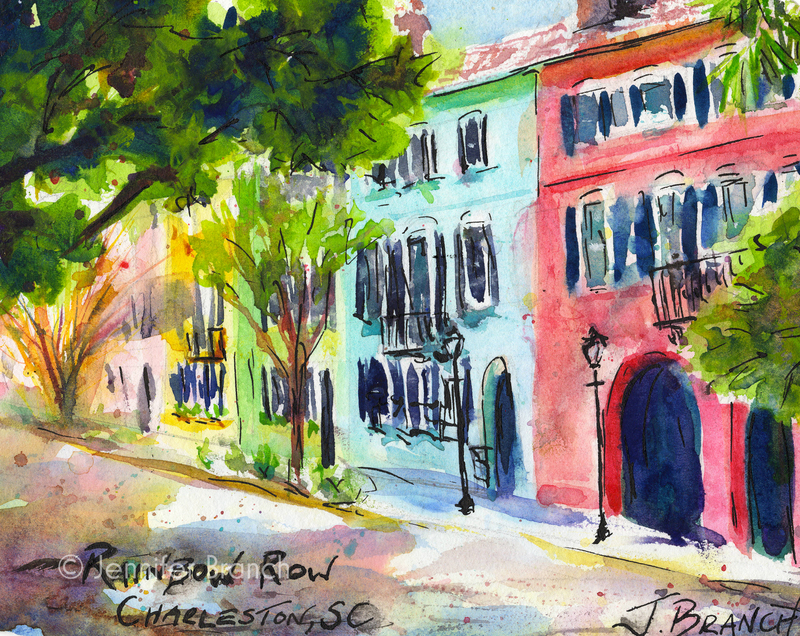 Here's a fun video painting demo inspiration for sketching on location! Painting on location is the fastest way to improve your painting skills! Have fun sketching! This quick orchid sketch is very simple and colorful. I've listed all my beginner watercolor painting supplies in one place so you can easily find what you need. While I'm linking to my Amazon store, I highly recommend you go to your local art store and look at what's available. I buy most of my supplies online, but I always try to buy brushes in the store if possible. Usually, the store will let you try out brushes with water on paper. This will give you a good idea of if the brush will work for you or not. I hope this helps you begin your watercolor painting journey. I encourage you to look at advice from many different artists whose work you admire. You'll notice we will all suggest different things to improve your painting. Sometimes it will be a different type of brush, sometimes new paints and sometimes absolutely everything will be new. Take what makes sense to you, experiment with what you're curious about and find the best way to get what's in your head on your paper. That's all art is anyway, trying to show people what's in your head. Remember, learning to paint is something it takes a lifetime to learn. That's the good part! You'll always have something new to explore. Try sketching outside and you'll be amazed at how much more you experience each moment. There's nothing like painting for savoring life. Every time I paint, I learn something new and find joy in the painting process. I hope you do too. 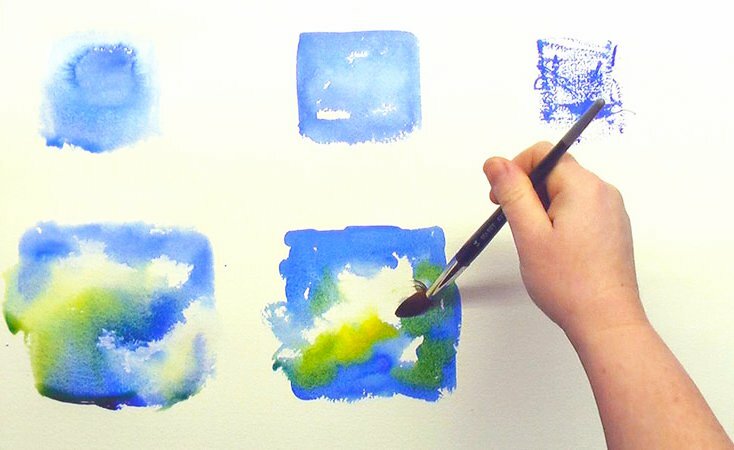 I hope these tips help make beginning watercolor painting more fun.